Chickens today are spoiled beyond belief when compared to Grandmas’ hens. Hens of the past (1900s) had no regular access to basic commodities such as water and feed- this severely limited their egg laying rate and also the size which they grew. The chicken really wasn’t considered a necessary ‘livestock’ animal on the farm. The meat was only eaten on very special occasions and eggs were a luxury. Today we are going to take a look back at the Humble Homestead Hen over the years and see how her lot has improved. 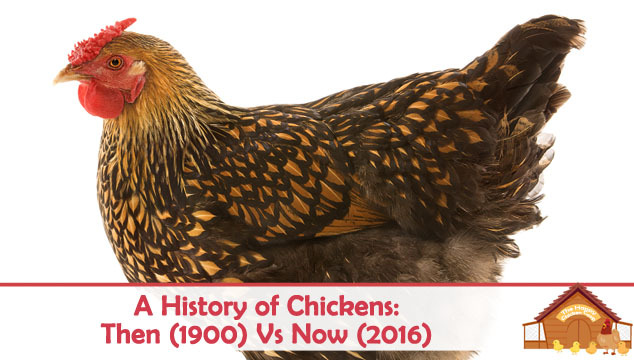 Our condensed history of the chicken starts in 1900. Chickens were primarily raised on family farms. They were not raised in huge numbers- a flock of 400 birds would be considered large. Families who had flocks of this size sold eggs as their primary income source, and chicken meat was a delicacy being reserved for special occasions and holidays only. 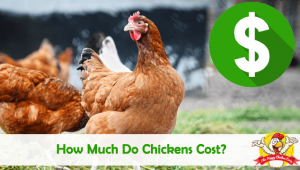 The average chicken would lay between 80-150 eggs per year. The chicken diet was basically whatever they could forage with occasional handouts of grain, scraps and waste kitchen products. A hen destined for the pot would be fattened up with extra grains and buttermilk if available. Housing was non-specific, either in the barn with the other animals or a separate outbuilding. They certainly didn’t have purpose built coops like we see today, and this led to a high mortality rate of around 40%. Chickens also didn’t do well over the winter months due to a lack of vitamin D which is provided during the summer months through sunlight. Vitamin D was discovered in the early 1920s and led to a small revolution in poultry keeping. Hens could now survive through the winter months with Vitamin D supplements and go on to produce healthier chicks in the spring. In 1923, Mrs Wilmer Steele of Delaware raised 500 chicks intended for meat birds. Her enterprise did so well, that by 1926 she bought a broiler house with capacity for 10,000 birds. She is considered to be the pioneer of the commercial broiler industry. This was the beginning of confined housing for birds and ‘industrial’ status for broilers. Cage systems of keeping hens was introduced in California. Hens were gradually improving and could now lay up to 250 eggs/year. Mortality also dropped to 5%. Following the Great Depression, agriculture was slowly regaining lost ground. War between the US, Germany and Japan was declared following the attack on Pearl Harbor in December 1941. This led to an increase in flock size to feed the troops. Everyone who had a plot of land was encouraged to grow a Victory Garden. Even city folk were encouraged to form community gardens and help to supply fresh food for their families. Raising and keeping chickens was encouraged, since they were small livestock and produced eggs! In the 1940s’ feed mills, hatcheries, farms etc. were still separate entities. 1942 an ‘on line’ eviscerator (device used to ‘gut’ the chicken) was invented, making the chicken ready-to-cook. Prior to this, evisceration of a bird was considered a kitchen skill. 1946 Pilgrim’s Pride feed store started by giving away free chicks with a bag of feed. 1949 USDA grading program for eggs started. Following the war years there was a huge change in the way food was produced. Chickens slowly began to be raised ‘intensively’. These were the years that saw the most change for chickens. Improvements in production capabilities and lower labor requirements saw the price of eggs plummet and many family-owned chicken farms went bankrupted. The vacuum was filled with larger industrial operations. Chickens stopped being a ‘luxury’ food; almost every family could afford a chicken. Broilers were now the #1 source of poultry meat. In 1950 the refrigeration was invented allowing produce to be stored at home for much longer. Companies bought the feed mills, hatcheries etc. in order to control production. The 1970s saw great advancements in nutrition, genetic improvement of fowl, increased mechanization and the beginning of disease eradication programs. Following these advancements saw the rise of animal welfare activists throughout the 1980s who campaigned (and still do) for animals’ rights. 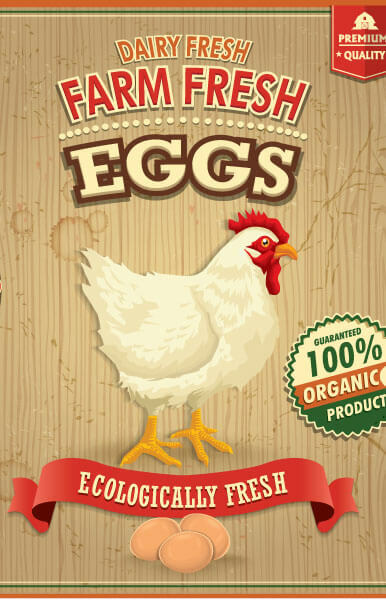 During the 1990s there was more of a movement towards natural, organic birds and eggs. 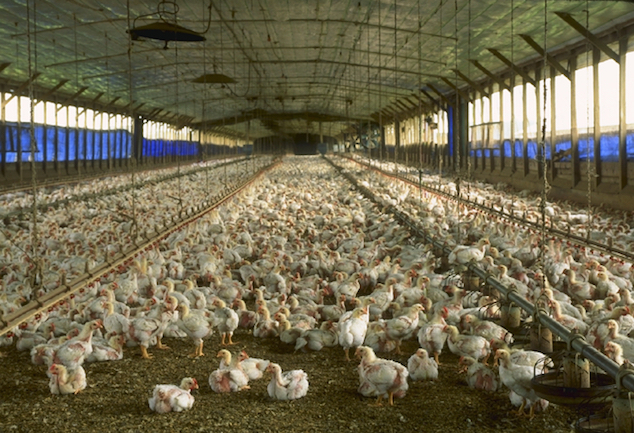 First antibiotic free birds sold by Perdue company. Animal welfare and rights come to the attention of the public. Today, there are roughly 280 million laying birds in the US. They lay approximately 75 billion eggs per year and chicken is the most consumed meat in America. What changes were made to the hen herself in order to bring her to the forefront of the food industry? Breeders, enthusiastic amateurs and farmers had been cross breeding poultry for centuries. Now the aim was focused on producing birds that could be either a good egg producer, or a good meat bird. It was becoming clear that you really could not have a bird that excelled at both. As a result of these developments in the 1920-50s several of the most common dual purpose birds of today were created, including the: Delaware, American Holland, New Hampshire, Chantecler, and Rhode Island Reds. More recent ‘streamlining’ of birds has led to the creation of such birds as the Golden Comet. The Comet is a great egg layer, but not considered to be a good meat bird. The high volume of eggs slows down after the second year, so the birds are generally slaughtered and replaced. 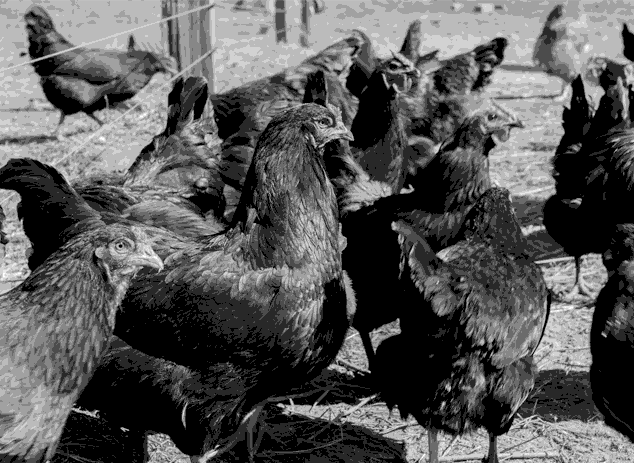 Since the 1920s we have bred the hen to be more ‘thrifty’ producers of meat and/or eggs. We have streamlined production methods in order to process more birds faster at a cheaper cost to the consumer. People have benefitted greatly from these improvements. The chicken herself has seen great general improvements in her diet, housing and care. 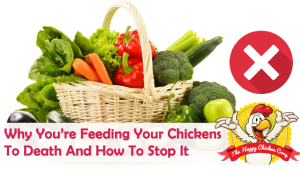 A better understanding of nutrition, the need for good sanitary practice and health checks have all enabled the chicken to live longer and more healthily. Mortality has greatly reduced from the beginning of last century when it was above 40%, to less than 5% today. Disease is better understood and treated and vaccines are available for several of the more lethal diseases. 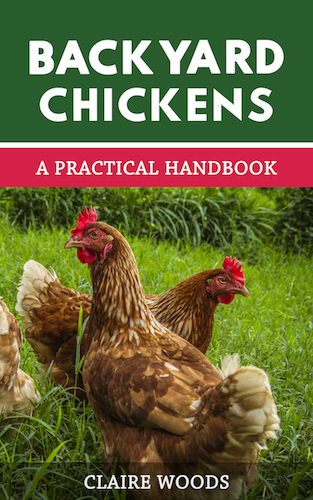 Care for the chickens’ health has improved enormously and the online resources of today can help the backyard keeper identify problems in their flock. So, Grandmas’ hens have come a long way! Backyard chickens have enjoyed a renaissance in popularity in recent years and deservedly so. Leave a comment below, we’d love to hear any of your stories about chickens of the 1900s! The Chinese have made a vaccine based on reverse genetics made with H5N1 antigens, and they have been using it. There has been a lot of criticism of what they have done, because they have protected their chickens against death from this virus but the chickens still get infected; and then you get drift – the virus mutates in response to the antibodies – and now we have a situation where we have five or six “flavours” of H5N1 out there. This is interesting to hear about Buster! Do you have any more information or news articles on this?